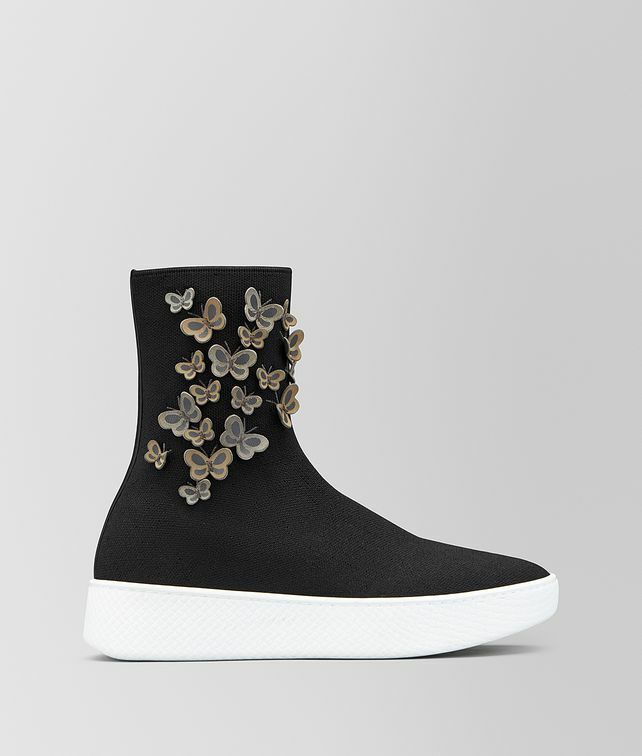 Introduced for Cruise 2019, this high-top Helium sneaker is an easy, slip-on style charmingly embellished with three-dimensional butterflies, a longtime house motif of Bottega Veneta. The sock-like upper is crafted from an elasticated fabric and embroidered with butterflies in two sizes, which are then lasered to create a bi-color effect. Finished with a thick rubber sole.